Police Confirm Abduction of three NYSC Members in Rivers - Corpr! The Rivers State Police Command on Saturday in Port Harcourt, the state capital, confirmed the abduction of three members of the National Youth Service Corps serving with Abua/Odual Local Government Area of the state. 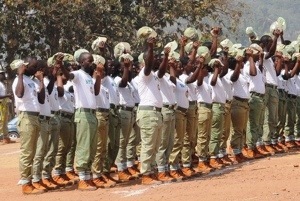 Angela Agabe, the command’s Public Relations Officer, told the News Agency of Nigeria that two male and one female youth corps members were abducted. Agabe said they were seized by armed men in the early hours of Saturday. Agabe, a Deputy Superintendent of Police, said the motive behind the kidnapping was however still unknown. The police PRO said the command’s anti-kidnapping unit, had since commenced a search for the missing corps members. She said: “Reports received by the command indicate that the corps members went to Ogomokon jetty, near the council headquarters, where three armed men abducted them early today (Saturday). “So far, no group has claimed responsibility and no ransom has been demanded. The police have commenced investigation into the incident. Kidnappers Of NYSC Members Demand N20m Ransom [UPDATE] | Corpr. Kidnappers Of NYSC Members Demand N20m Ransom [UPDATE] - Corpr.